After a long hiatus, the tough questions have been answered. The wonderful writing team of Morgan O’Neill joins me today to discuss their newest time-traveling tale, The Thornless Rose, so I present you with two answers for the price of one. Welcome Deborah, welcome Cary. What inspired you to write The Thornless Rose? Cary- Queen Elizabeth I and the rest of the Tudors have kept me enthralled since earliest memories. Nobody has ever managed to find a pigeon hole that adequately describes Elizabeth Tudor, and I think it is because she had so many facets. She was a scholar, an athlete, a politician’s politician. She was driven, cunning, and knew how to use her feminine “wiles” to the detriment of her male-dominated world. She had an endlessly traumatic childhood, little true love, and throngs of hangers-on who would use her at a moment’s notice. She was her father’s daughter, but only knew his love when it suited him. How can we not be captivated? I love alternate histories. 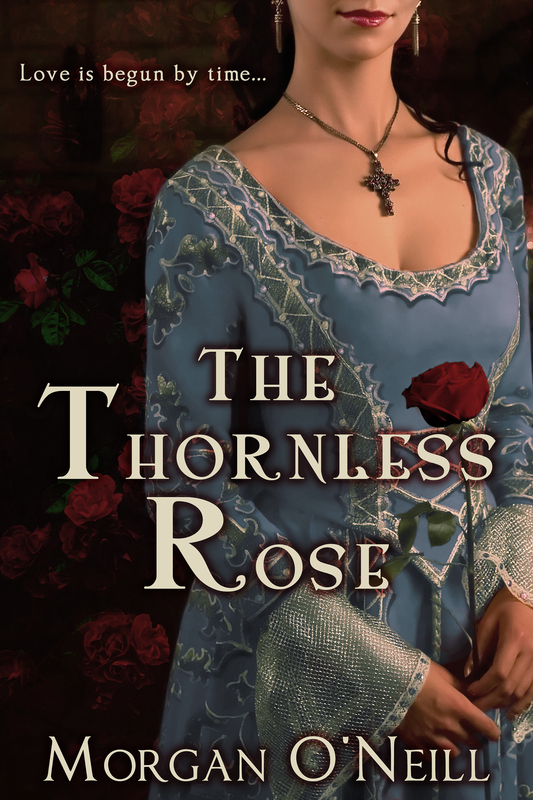 The Thornless Rose sounds like a terrific book to curl up with on a cold winter night. Thinking of which, what types of books do you enjoy reading? What is on your nightstand? Deborah- I am reading Neanderthal Man: In Search of Lost Genomes by Svante Pääbo. It’s a fascinating memoir by one of science’s greatest paleo-geneticists. I’m about to have my DNA tested, and the test will reveal how much Neanderthal DNA I possess. Amazing! Cary- Making Magic by Donna June Cooper (It’s excellent, as are the other two in the Magic series) and The Oresteia by Aeschylus, translation by Robert Fagles. I haven’t heard of any of those. Other than reading, I mean research time, what are your favorite parts about being an author? Cary- Bringing the characters to life. Since we deal with many real historical figures and their exploits, I consider this a great privilege. If a celebrity did the audio book reading, who would you pick and why? Deborah- For The Thornless Rose, I would like a woman who has a sophisticated voice. Helen Mirren or Judy Dench would be fabulous. Cary- Hmmm, male, to be sure. I don’t know, but he’d need a low-pitched, rumbly sort of voice, because those are yummy. That’s what our hero, Dr. Brandon, sounds like. If your hero or heroine were babysitting my kids (age 6 & 10) what would the night be like? Cary- Wellllll, I think they’d be on very solid ground. Elizabeth has stories to tell that could raise the hairs on anyone’s neck, but she has the wisdom to tailor her words to her audience. And she loves kids! The kids will have a great time. What if we were at a bar with your hero and heroine, what would they drink? Deborah and Cary- Anne Howard likes the occasional shandy (a mix of beer and lemonade), while Jonathan drinks Guinness or Elizabethan dark beer called double-double. I approve of Jonathan already. My kids built a time machine out of Legos. When and where are we headed and why? Cary- Why, Elizabethan England, of course! The language is familiar-ish, the clothing (we’ll land wealthy) is to die for, and the entertainment (Royals watching) is without equal – bar none. I love how you each bring something different to the table. Thinking of which, dessert time! Give me your either/ors. Before you ladies run off, care to share anything more about The Thornless Rose? Anne wonders if there isn’t something more to the story. Is it even possible that Jonathan disappeared into England’s dark past? And why does Anne keep hearing him whisper her name? Because now she too feels the inexorable pull of the past, not to mention an undeniable attraction for a man she doesn’t even know. A chance meeting at a writers’ conference brought Cary Morgan Frates and Deborah O’Neill Cordes together, two award-winning authors who connected because of a mutual love of time travel fiction. Collaboration ensued, the search for a pen name the first step in their working relationship. Their maiden names provided the solution – and “Morgan O’Neill” was born. Cary and Deborah’s backgrounds are uniquely suited to writing stories steeped in atmosphere and history: Deborah has a Master’s Degree in history and is a dedicated genealogist; Cary is a talented linguist in French and is currently a student of Latin. 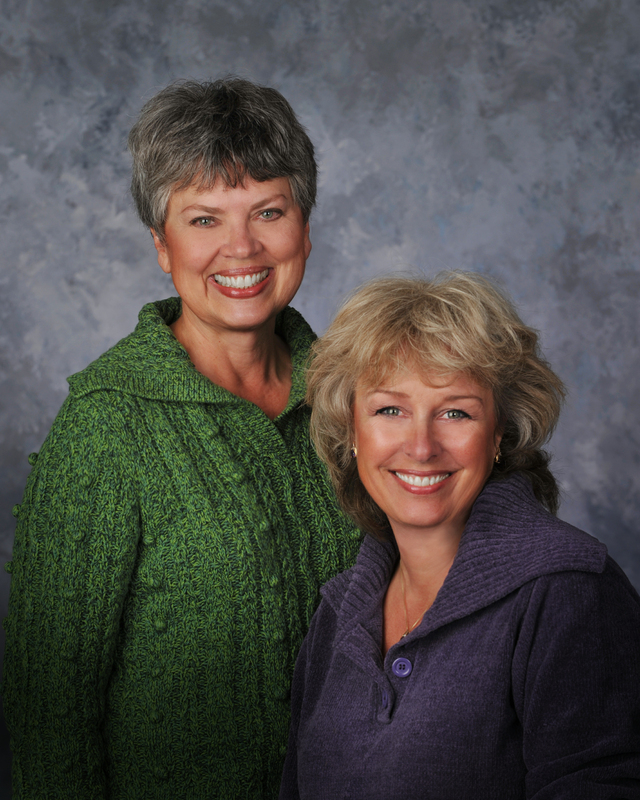 They’ve traveled to Europe’s ancient and medieval sites many times, with Cary living on the Continent for five years. The Morgan O’Neill time travel novels have received a number of literary awards, including two finalist wins in the Booksellers’ Best Awards, two semifinalist wins in the William Faulkner-William Wisdom Creative Writing Competition, first, second, and third place wins for the Mainstream Novel with Strong Romantic Elements category of the Golden Rose Contest, a top ten finalist award in the Pacific Northwest Writers’ Conference Zola Awards Literary Contest, and a top ten finalist win in the Orange Rose Contest. Lola, thank you for spotlighting The Thornless Rose! We are excited to have our novel out there for all to enjoy! I enjoyed doing this interview, Lola! Thanks for your kind words and insightful questions. I enjoyed having you on my blog and I wish you much success with Thornless Rose.